In a new report by Business Insider, they explore what’s driving the trends in regtech innovation. The full report includes a case study showcasing Encompass Confirm. Regtechs can prove more attractive than existing third-party solutions in certain areas, because their products are typically aimed at a specific industry and sector. They are also designed to solve a specific compliance business problem, rather than offer a generic compliance solution. Here are some examples where regtechs are already helping financial services firms solve real problems, with real solutions. Financial services companies are struggling to keep up with a mountain of new regulatory and reporting requirements - and it's only going to get worse. From the 2008 financial crisis through 2015, t he annual volume of regulatory publications, changes, and announcements increased a staggering 492%. Regtechs can help in many areas of compliance. This goes beyond automating legacy processes and can include interpreting legislation, designing new compliance processes, and managing and processing data. Large financial firms represent the biggest opportunity for regtechs, but they’re also well suited to help fintech startups. Regtechs face a number of hurdles to achieving significant scale and success. These include competition in the industry, the challenges of international growth, and building trust with customers. Implementation of regtech solutions will result in staff reduction. These technologies will augment compliance teams in the short term, but could lead to job losses among compliance professionals in the longer term. Defines what regtech is and the problems regtechs are trying to solve. Highlights the advantages regtechs have over legacy compliance solutions. Provides regtech company case studies. Details the outlook for regtechs globally and the impact they will have on compliance teams. 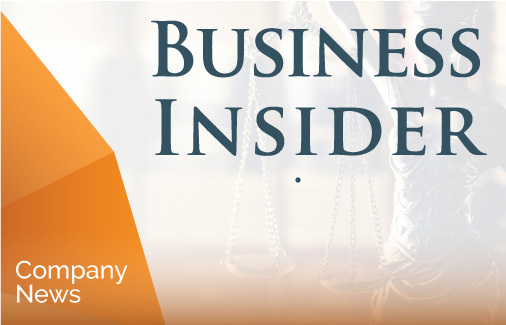 To access the full report, register online at Business Insider.